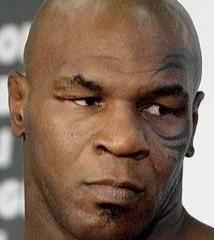 Mike Tyson Escapes Charges In LAX Incident: Prosecutors decide to drop case due to insufficient evidence. *Los Angeles prosecutors have opted not to file charges against Mike Tyson after he allegedly punched a photographer at Los Angeles International Airport last month. “After a full and thorough review, we’ve decided not to file charges against either party due to insufficient evidence,” L.A. City Attorney spokesman Frank Mateljan said Thursday, according to People.com. Tyson’s attorney Shawn Chapman Holley said the photographers had “aggressively approached” the boxer and his family by “provoking and harassing them,” and at one point bumped into a baby stroller carrying Tyson’s 10-month-old baby daughter. The photographer, Tony Echevarria, 50, denied he was being aggressive. “I was shooting from a distance, and I was respectful,” he said. Previous ArticleAAFCA Encounters Ballot Tampering Controversy: Accusations stem from Best Actress Award going to 'American Violet' star instead of 'Precious' entertainer. Next ArticleNY Mayor Signs Bill For 'Sean Bell Way': Street officially renamed for police shooting victim. ‘“I was shooting from a distance, and I was respectful,” he said.’ Yeah, Okay!